It's the holiday season and Christmas is all around us! 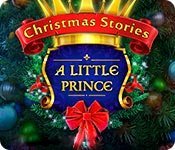 The Christmas Stories series has just been updated with a new addition, Christmas Stories: A Little Prince Collector's Edition. 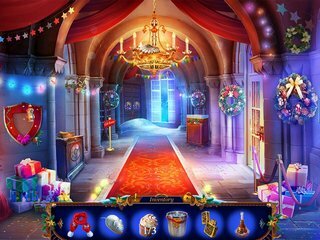 It is a fun hidden object game to add some cheer to your life and fill you up with Christmas spirit! But it is not going to be all fun and presents, you are to solve quite a problem, so everyone could enjoy the festivities. Now, you are everyone's hope to fix the clock that can reverse the curse. So, you are going to a Christmas wedding to a Royal Palace. The joy of Christmas and celebration of the union of two people in love come in one day this year. You are running late and it turned out to be a blessing for everyone. By the time you arrive at the party, everyone is under a curse! Now, you are everyone's hope to fix the clock that can reverse the curse. When it ticks midnight, everyone can become their normal selves, but it doesn't have all the pieces to work. It sounds quite easy, but the palace is huge and the little parts can be anywhere. This is the part where you can use the help of some of the characters under the curse. They were not frozen or something. They turned into all kinds of things and some, like a fox, can be quite useful. Others are quite fragile, like a rose, that cannot live long. And some turned into ridiculous objects, like pianos... but it is still fun. 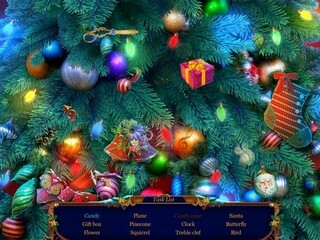 The game is full of puzzles, and mini-games, and hidden object scenes. The HO scenes are nothing new or extremely impressive (which is frankly expected), but fun nonetheless. Puzzles and mini-game fall on you like a rain of confetti - you will have enough of those! The mini-games and HO scenes are replayable. Since it is a collector's edition, you get quite a few morphing objects (a snowman in every scene, 26 in total) and collectibles (14 wedding guests figurines and 48 jigsaw puzzle pieces). There are 20 achievements and plenty of media extras, like wallpaper, concept art, soundtracks. And once you are done with the main game you can start the bonus chapter! 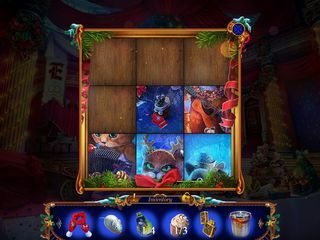 If you are looking for a fun way to kill a couple hours this Christmas season, try this new Christmas Stories game, Christmas Stories: A Little Prince! This is Christmas Stories: A Little Prince review. Download this game here.